PORT-AU-PRINCE, Haiti – Since 2008, Scott Brawner has been active in ministry and security efforts in Haiti. He is the president and co-founder of Concilium, a Kansas City-based organization that provides training for missionary efforts across the world. 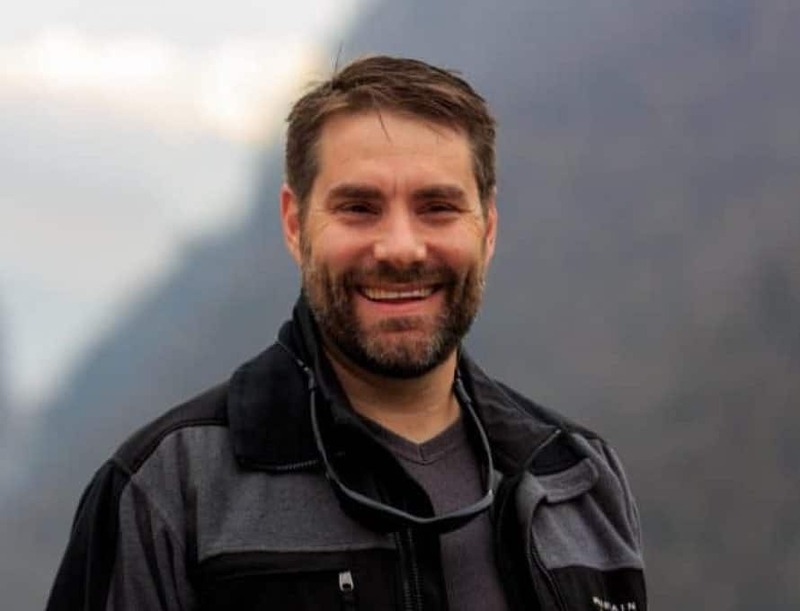 Brawner is also executive director of Fusion, a missions training program for young men and women on the campus of Midwestern Baptist Theological Seminary. Prior to this, he served as director of risk management with the International Mission Board, as a state missionary with the Missouri Baptist Convention, and as a sniper and team medic with the United States Army’s First Ranger Battalion during Operation Desert Storm. I talked to him, July 12, about the recent violence in Haiti, its impact on missions, and how churches can prepare their short-term mission teams for unexpected crises while serving on the field. What has been the impact, missionally, of the recent events in Haiti? Sure. Well, the first thing that we would say with the gospel in crisis is, crisis always opens opportunity for the gospel to be on display. And what we mean is, it’s not just the ability to share the gospel, but it’s in crisis and in need when the ability to share the gospel is earned. And so, that’s why it’s so important to understand the geo-political landscape of these countries, Haiti in particular. In some cases, the best thing that we could do is to get out, because we’re just going to become a liability, as well. I mean, that certainly, in some places, is the issue, but in other places, when we have resilience to weather the storm, when we have the ability to maintain a presence that is a help and a blessing rather than a hindrance, then that earns believers the opportunity to share the gospel. In making this decision of whether to stay or leave, is there a difference between what short-term missionaries should do, as opposed to long-term missionaries? Yes, that is a critical consideration, because with Consilium we work with the long-term organizations that utilize short-term volunteers. So, you’ve got organizations with American citizens and then, frankly, Haitian nationals on your staff who live there every day, and so this is just another day in Haiti. So, they learn how to build resilience into their ministry by hunkering down, sheltering in place, having a week’s supply or more of food and water. But the challenges for short term mission teams is that, literally, they don’t have the understanding, the knowledge base, or the practical skill sets, equipping, to serve under duress. There are so many short-term missionaries who get onto a plane, who cannot find, on a map, the country that they’re going to. They cannot say hello in the heart language of the people they intend to reach with the gospel. And so, therein lies the problem of lack of preparation. And the issues that we’re dealing with right now – evacuation, resiliency – none of this has to do with loving Jesus. If it was just about loving Jesus, everything would be okay, right? But God is sovereign in these things. None of this has caught God by surprise, although it’s caught a bunch of people by surprise. So what we’re talking about is discipline, discipline for the purpose of godliness that’s not just about character development, but that’s also about the ability to do ministry under duress. And that takes time (to develop). So what can short-term mission teams to do prepare for these types of situations? The first thing is, each mission team working to travel overseas needs to purchase a comprehensive travel insurance package that includes medical treatment, as well as evacuation insurance. Because I can tell you, in the last week we’ve worked with individuals and organizations, with 50 people, who had no insurance. One evacuation was going to cost $315,000 to get them to the airport and get the aircraft to fly them to Fort Lauderdale. Others have been paying $10,000 a person to travel from their compound or their ministry site to the airport. And that’s not gauging prices. That’s just the sticker shock of having to have people risk their lives to come and get you. You need to be able to belay that cost and that risk with insurance, with travel insurance. And remember, still, the number one killer of missionaries is not Al Qaeda, it’s car accidents. And so, people forget that their domestic insurance, Blue Cross Blue Shield, or whatever, generally does not provide coverage overseas. So, not only is it the evacuation that can cost fifty to a hundred thousand dollars if you’re injured in a car wreck, but then it’s the ongoing treatment and recovery which is probably not covered, as well. So, besides getting travel insurance, how should mission teams prepare? Okay, besides the travel insurance, be prepared to go. You need to have some practical security training that helps you establish your values of gospel commitment. This is important, because whenever you have a security training that just establishes your safety as the highest value, what you’re doing is setting yourself up for failure in your mission. So, we (at Concilium) practice what’s called Security in the Context of Ministry, SICM, and what this does is it sets the highest value not as your safety, but as the gospel. … This means that your highest priority is the safety of God’s people on mission. Because, pragmatically speaking, you will never be a good disciple-maker if you are either disabled or dead. Okay? And I’m not trying to be macabre, but that’s just pragmatic reality, right? If you can’t do your job, then you’re not going to be making disciples. And again, we look at the threats that people face outside of the geo-political: if you are so sick because you chose to just eat your food off of the street and got so sick that you cannot physically do your ministry because you’re on the toilet, you’re not mission effective. So, what we’re telling people to do then, is you need to establish those values – with the gospel as your highest value, safety as your highest priority, so that you can fulfill the highest precedent of Great Commission obedience. And that’s exactly what it comes down to. We’re using security as stewardship, and that’s the critical piece. You develop your security as stewardship in order to affect, or impact, and prove gospel obedience. Personally with your individuals, but corporately as a team. So, for those churches that are planning trips to Haiti, how should the engage the nation and plan, in light of the recent violence there? Again, it goes back to counting the cost. … You don’t want people getting down into what could be a dangerous situation and saying, “I didn’t sign up for this” or “You didn’t tell me this.” So we want people to better count the cost of discipleship and obedience, Great Commission obedience, and that first comes by establishing a personal and corporate theology of risk. … They need to decide, as a team, what risk they’re willing to take.